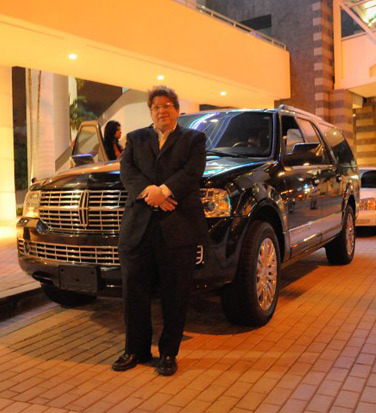 I travel regularly and have used many limousine services throughout the country. I have used Pier 1 Limousine for 1 1/2 years and am proud to recommend them to anyone in need of professional and courteous ground transportation. During my 1 1/2 years of regularly using Pier 1 Limousine, Allyn and team was never late and I never worried about arriving to my destination safely or on time. Pier 1 has been the best ground transportation company I have ever used. I would like to take the moment to thank you for such great customer service to Provident Jewelry. We have used Pier 1 Limo time and again for business trips, and are always satisfied with your pricing and dependability. You always to take the time to help accommodate our company by checking the flight schedules and preparing for delays. Thank you again. We would recommend Pier 1 Limousine & Concierge to anyone. It is my pleasure to provide a reference letter for Allyn Pier. He has provided patient transportation for us over the past 2 years and we have been thoroughly pleased with his services. He has been prompt, pleasant and professional at all times. We have never received a single patient complaint regarding Allyn and we rely on him to deal with even our most demanding and difficult patients. Allyn is a huge asset to our business and i recommend him without reservation.